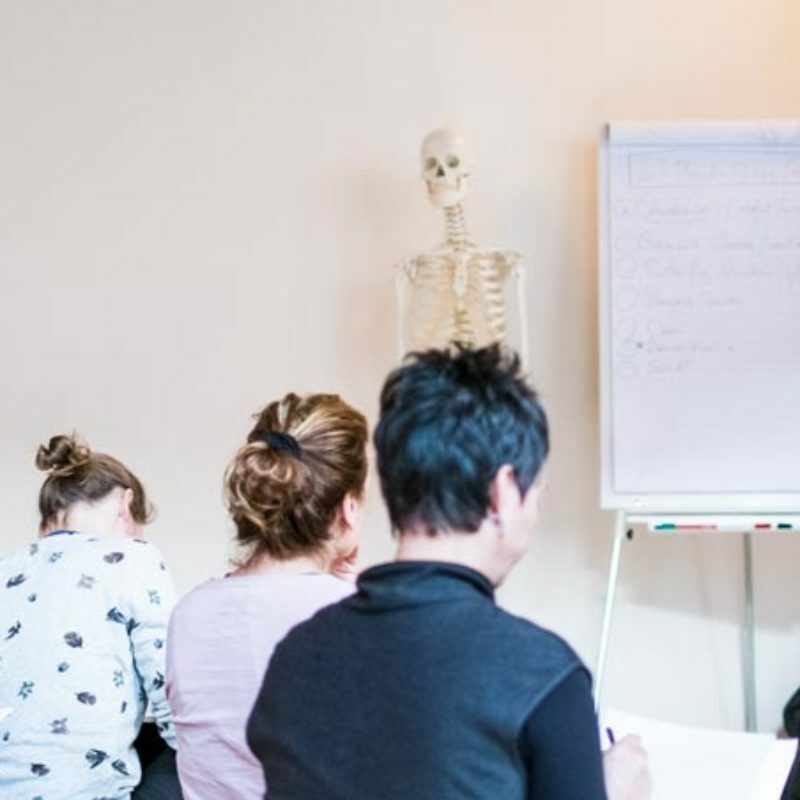 Would you like to upgrade your existing 50 or 100-hour certificate of the Yin Yoga Teacher Training part 1 or 2 to 100 or 200 hour certificate? Or would you like to convert your 50 or 100 or 200-hour certificate of attendance of the Yin Yoga Teacher Training into a 50, 100 or 200-hour certificate? Or did you miss a practical exam day during the 200 hour Yin Yoga Teacher Training? Then seize your chance with this day! For this day you prepare together with two other assigned students, a 60 minute Yin yoga class. You will hear at least three weeks in advance with whom you are going to teach the class. Within this class you will teach 20 minutes, will assist / adjust 20 minutes and will observe 20 minutes. Besides teaching your own class, you are to take part in the other yoga classes offered during the day. You will hear beforehand in what part of the day you are assigned to teach. You are present the whole day, this equates to 8 contact hours. You have to attend all of these contact hours. During this day you will receive feedback and will hear if you have obtained the certificate in question. The certificate will be sent to you after this day. Have obtained a 50-hour certificate for the 50-hour Yin yoga teacher training part 1 or 2 and who would like to upgrade it to a 100-hour certificate. Have obtained a 50-hour or 100-hour or 200-hour certificate of attendance for the 50-hour or 100-hour or 200-hour Yin Yoga Teacher Training and would like to convert it into a 50-hour or 100-hour or 200-hour certificate. Have not participated in the practical exam days from the 200-hour Yin Yoga Teacher Training and would like to complete their training. Do you have a 50-hour attendance certificate? Then you can attend this additional practical exam day to replace the submission of a 60-minute recorded Yin class. Do you already have a 50-hour certificate and you would like to upgrade it to 100 hours? Did you attend the additional exam day and have replaced your 50-hour attendance certificate to a 100-hour certificate? After adequate completion of all contact hours and homework assignments of one of these options, you can upgrade your 50-hour certificate to an 100-hour certificate. Your own yoga mat and blanket (for relaxation). If possible, bring one or two students who can aside from your yoga class also participate in two other yoga classes in the morning and / or afternoon. * There are 18 spots available! There is tea present and dried fruits or nuts. You can bring your own lunch or buy lunch in the neighbourhood. (Note: There is no refrigerator at the location). – Cuccina Chanti: H.J. Schimmelplein 12 minute walk (Italian food). – Koffie en Ik, Vleutenseweg 169, 3 minute walk (Sandwiches & delicious treats). – Albert Heijn, Damstraat, next to the parkeergarage Kop van Lombok, 4 minute walk (Supermarket). – Café Lombok Eten & Drinken, Vleutenseweg 228, 7 minute walk (Salads & sandwiches). – Barbeton, Central Station, 13 minute walk (in the central station, walk up the stairs from the Jaarbeursplein and it’s the first restaurant you see). From NS-station Utrecht Centraal take exit: Jaarbeurszijde from here it is a 14 minute walk via Croeselaan en Damstraat. Monday through Saturday 09.00-23.00h paid parking in front of the venue and neighbourhood € 3,47 per hour, maximum rate €28,- per day. Only on Sundays: Free parking in front of the venue and neighbourhood. Parkeerterrein Jaarbeurs P1 (click on link for direction specification), entrance Graadt van Roggenweg, 11 minute walk, maximum rate €14,- per day. If you don t want to pay for parking you can choose to walk 20 minutes and park your car somewhere behind the crossroads Spinozaweg & Vleutenseweg. Walk towards the studio along the Vleutenseweg.